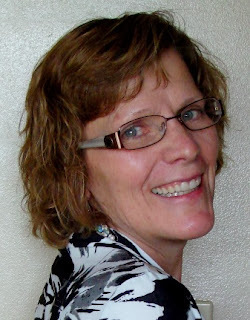 Kimber Leigh Writes: Blog Tour: Tainted Waters by Maggie Thom - Guest Post & Giveaway! 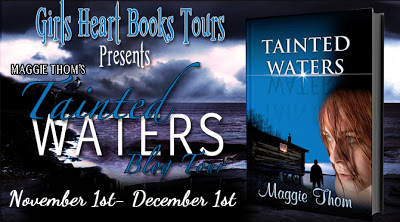 Blog Tour: Tainted Waters by Maggie Thom - Guest Post & Giveaway! Welcome to my stop on the Tainted Waters blog tour, hosted by Girls Heart Books Tours. Today author Maggie Thom joins us with a great guest post. Don't miss the giveaway at the bottom of the post. Frustrated at being fired from her latest job and overwhelmed by her consolatory family, Sam decides to move to the family’s cabin at the lake. A place she hasn’t been since her dad committed suicide there twenty years before. Or did he? Snooping is something she’s good at but someone seems to be taking offense to her looking too closely at what has been happening at the lake. What she discovers is shocking. Now she must uncover what’s real and what’s not. All that she learned growing up, may be false. Keegan who has recently moved to the area to finish his latest book is also trying to find out if his grandfather, who’d passed away ten years before, died of natural causes or was murdered? The descendants of the four families who own the land around the lagoon are dying off. Since Sam and Keegan are the only ones questioning the deaths, they find themselves working together to seek the truth. Are people being murdered? Who would benefit from their deaths? Why would there be barricades and armed guards at the north end of the lake? To stay alive, Sam and Keegan must find the answers and convince others, before more people are killed... including them. Tell us about Tainted Waters and some of the idea behind it. Tainted Waters was one of those stories where several things just came together. There were things that had been playing around in my head for a while. I have always been fascinated by people who own lake lots and every weekend traipse out there. I don’t blame them I love the water too. What I didn’t understand was that a lot of people who lived in the city would head out to the lake to get away, only there were just about as many people out at the lake. So I started to think about what kind of story could I make around the lake. Then we went camping one weekend to a lake we hadn’t been to before. The lake was quite a ways away and had no amenities. Which to me meant it should be quiet because most people who camp like to have all of the amenities. Well not only did it not have any power, water, etc. it also wasn’t much of a lake. It was more of a large slough. But it was quiet. At least when we arrived. And the lake was perfect for canoeing. We had lots of fun and only a few neighbors but then it became night time. Now, I don’t know if we weren’t paying attention or if things just came alive at night but we discovered there was a gas plant about two miles cross country. And it was loud. But it wasn’t as bad as the big trucks that drove up and down the road all night. It was probably the worst camping trip, ever but it sure helped me come up with a cool twist to a novel. What if there was a secluded lake, that had hardly any visitors? What if those big trucks were trucking something other than water? What could be going on at the lake? My mind started flying with ideas and so Tainted Waters was born. learning that humor, love and patience help her navigate her way through her twins’ teen years. Thank you so much for hosting Tainted Waters. I appreciate you being a part of my book tour. Holiday Kindle Fire HDX Giveaway!